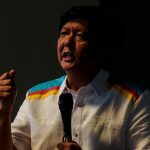 MANILA, Philippines – Concerned teachers and students of Miriam College (MC) joined the Ateneo community and other Catholic schools in deploring vice presidential candidate Senator Ferdinand “Bongbong” Marcos Jr for defending his father’s regime. “We denounce the Marcos campaign’s characterization of the dictatorship of former President Marcos as an era of ‘discipline’. We reject the suggestion that this kind of ‘discipline’ was, and still is, a necessary step toward obtaining peace and prosperity,” they said in a statement circulating online. For them, “true peace and lasting development” can only be attained through “people’s participation in governance at all levels” and not through repressive means. With many of today’s martial law supporters being young, how do college professors, especially those teaching History, feel about the positive view of martial law that is spreading online? Christine Lao, who teaches in the MC’s International Studies Department, and many of her colleagues noted how many students learned of martial law on social media. “We shouldn’t be angry at the youth,” Lao said. Educators should instead “expose them to how things were,” she explained. This means opening the conversation and keeping it alive — and educators have to start it. Lao said MC professors gave out movies about martial law and encouraged students to have open conversations with their parents about the period. “They would not have the conversation if we had not started it or given them the material,” she said. One of them, Sr Helen Graham is one of the founders of Task Force Detainees of the Philippines, which began when one of her students was taken. She was able to find the bus with the detainees and was allowed to enter. While inside the bus, she was able to record the detainees’ names and contact details, which she used to help families contact their missing loved ones. According to the statement, protesters from the school were arrested and were witnesses to the brutality against dissenters. Like the Maryknoll sisters, other prominent Catholic leaders and institutions were key to the downfall of Marcos. Jaime Cardinal Sin, who was the Archbishop of Manila at the time, prompted the February 25 protests with his announcement over Radio Veritas. Catholic educators were also prominent protesters at the time. Aside from the Maryknoll sisters, the Benedictine sisters were also part of EDSA I while the Jesuits belonged to a movement to protect ballots during the snap elections of 1986. Their efforts, along with thousands of others Filipinos, toppled the regime. However, 30 years later, the Marcoses still firmly hold on to power. 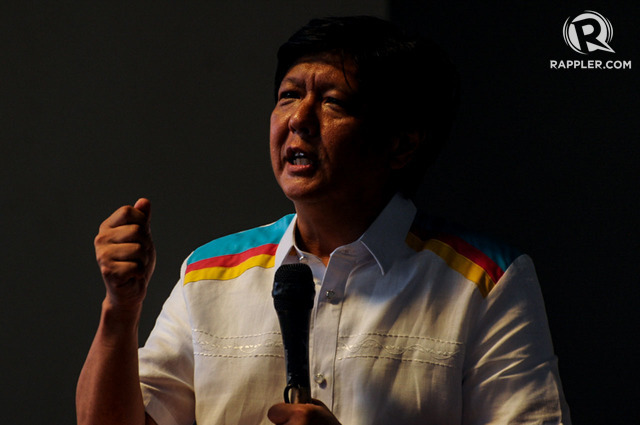 The MC community ended the statement by calling on Filipinos to never “allow a Marcos in our government.” However, the Pulse Asia survey conducted from March 8 to 13 and released on March 22 showed Bongbong Marcos was the frontrunner for the vice presidential race, getting 25% of the vote.